A decade back or so, to paint or give visualize effects to some project was a tough task. Nowadays, it is a lot more comfortable than before because of the variety of colors and different techniques of paint applications. We can easily give mind-blowing visual effects with minimum efforts can be done right with the spray paint. Also, it is helpful to eliminate fuss or any other mess if we apply it right. However, there is always a risk of sticky finish or over-application. Imagine that you want to make a beautiful art piece and for that you need to spray paint on some object and just before fixing it up, you find out that it is still wet and bang – you just disturbed the pattern! How irritating, right? 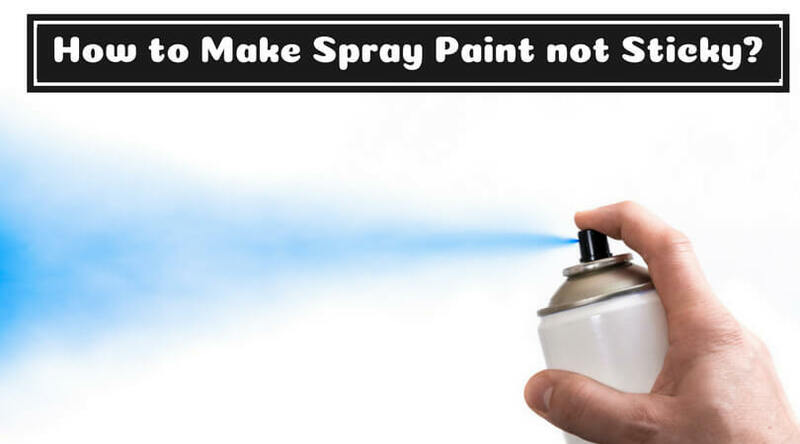 But, no need to worry as this article can help you to find some simplest way to dry the spray paint faster and avoid stickiness. There are few steps available which you can try for the appropriate non-sticky finish. 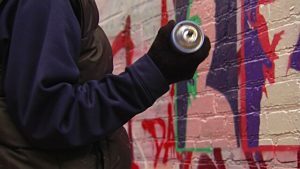 How to Make Spray Paint not Sticky? If you live in some humid area or just a newbie in this field, then the chances are high of some mess. Try to consider these ways in your next project or creation. The primer can help you in a way you never imagine. It helps to avoid the interaction with the substances which may affect adversely to the paint. Apply a coat of primer to the surface of that object on which you want to spray paint. Here with the use of primer application, you are taking care of those substances which might be the primary reason for a sticky finish. Shake the can vigorously before the application. 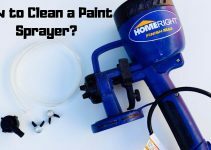 It helps the paint to mix well in the can and ensures smooth implementation of the spray paint. You should never avoid this step. Otherwise, it might be possible that you will have some thin, untidy layer of color and also an uneven one! So, don’t ignore the basics to avoid the spray paint being sticky. Before spraying, make sure that the applied primer is entirely dry. Once it is dry, spray the paint evenly over the surface. Don’t forget to check the corners or some problematic parts as sometimes the spray doesn’t get there and we have to take extra care of that. Another thing to keep in mind is that even if you think that you have made a mistake or forgot to cover some area then also don’t over-apply the spray paint. Too much paint takes a lot of time to dry properly, and thus, causes the sticky finish. After completing the first layer, give it some time to dry and then go for the second coat. If you want to keep it light, then you may not need to apply another coat. But, if you’re going to make it darker, then wait for sometime so that the first layer can dry out entirely from outside and then repeat the whole process. If you want to speed up, then apply a thin coat of paint first and put a small heater near the object. Humidity is not good for the spray paint. 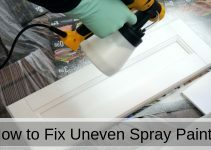 Try to avoid any humid days while spraying the project, as it restricts the paint’s drying ability and can become another reason for a sticky finish. You can also use a blower, fan, or heater to dry it properly. But, decrease humidity first, if it is possible for you. You can reduce it by closing the window or spraying the object in some cold, dry room. If you use a fan to dry the object, then don’t forget to circulate the direction of the fan so it can cover each side of the sprayed object. Apart from these, there are a few options which are helpful to dry the paint faster. Like, coating the piece with a wax based furniture polish, which can seal the paint and help in drying process or bake the painted object in some old toaster oven, which can speed up the drying process, etc. It is up to you how you want to make it possible. Coat the paint with furniture polish and let it dry for 5 minutes. If your object is wooden, then you may need more than one coat for proper finishing. Always test the object after some time of spraying to know that it becomes dry. Before turning on the fan to dry the object, make sure that the room is clean. 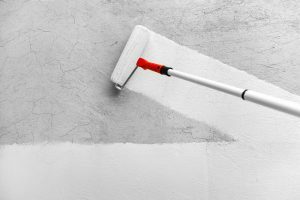 Otherwise, there are the chances to have a lot of dust, dirt, or other debris on the wet paint, which can decrease the quality. Never use the regular oven to dry spray paint. Paint always release a few chemicals while drying, which can adhere to the inside of your oven. Have a toaster oven instead that you use only for drying paint. 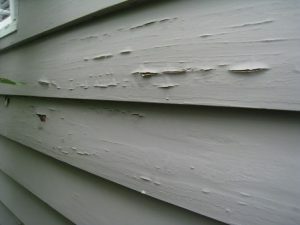 So, these are few solutions on how to fix sticky paint! 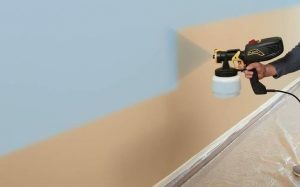 If you want better finishing than the cans, you can also try latest HVLP spray gun for spray paint, but one thing is there that if you’re going to go for some natural ways, then change the environment of the place where the paint is drying, or just don’t start painting on some humid day! All the best.